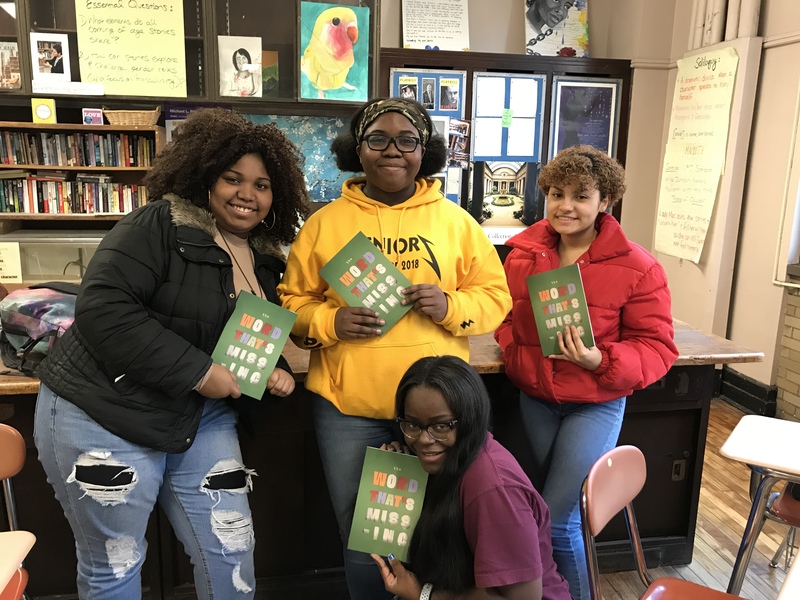 This fall seniors from the High School of Fashion Industries’ “Film and Drama” elective participated in an in-schools residency with 826NYC on the topic of ekphrastic poetry. They went to plays on and off Broadway, watched films from near and far, and then used poetry to describe stories and scenes, themes and motifs. The resulting poems were published in the collection, “The Word That’s Missing.” Their works explore small moments and grand events. They mine the minute and the hidden for what is most significant. They search the cataclysm for what has been forgotten. We would like to give a special shout-out to the 826NYC teaching artist who ran this program, Cameron Crawford, as well as to the volunteers who supported the students’ work. An extra-special thanks is also due to our all-star partner teacher, Rebecca Levine Eisenberg. Her classroom is always welcoming, lively, and endlessly supportive. To all the authors in this book, thank you for sharing your words with us.